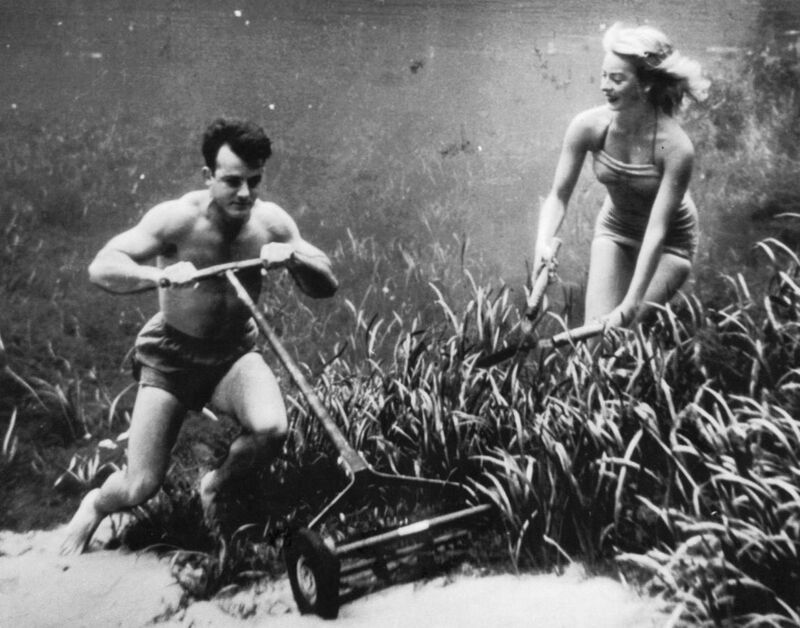 A couple of days ago I Tumblr’d upon some old black and white photos of young people going about their normal, everyday lives in the early 1940s. 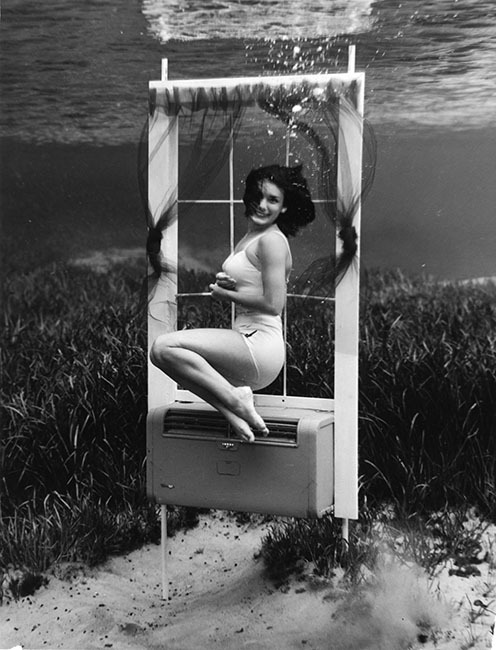 I guess it would have been cool on its own, in a neat little Pleasantville sort of way, but what made the shots even more interesting was that they were all filmed underwater. 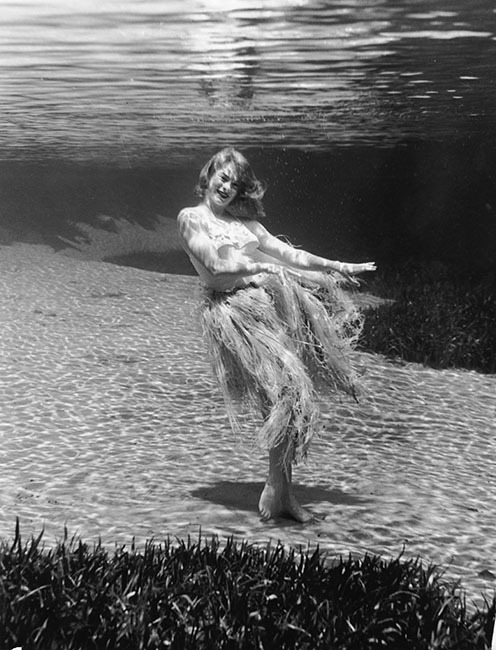 I love the way the subjects all look so nonchalant — I have absolute no idea how they’re managing that while holding their breath and being photographed many feet underwater! 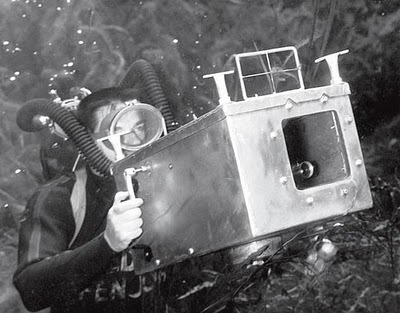 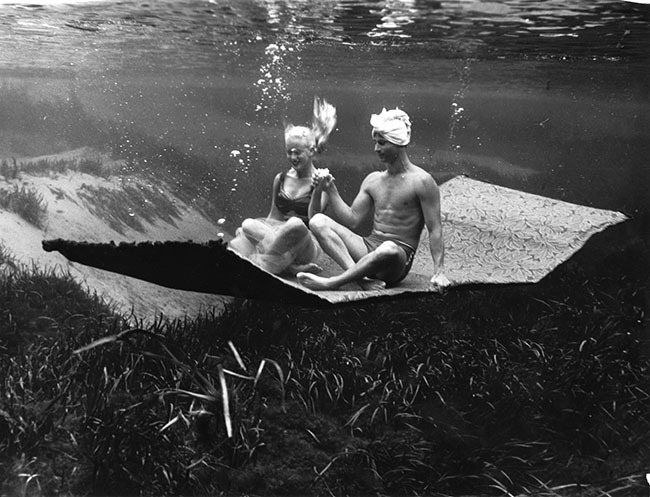 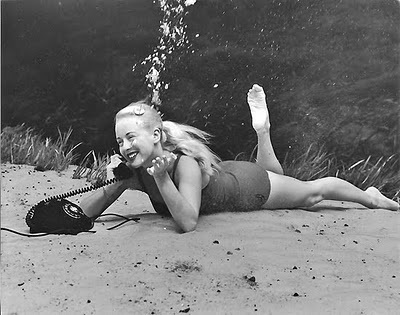 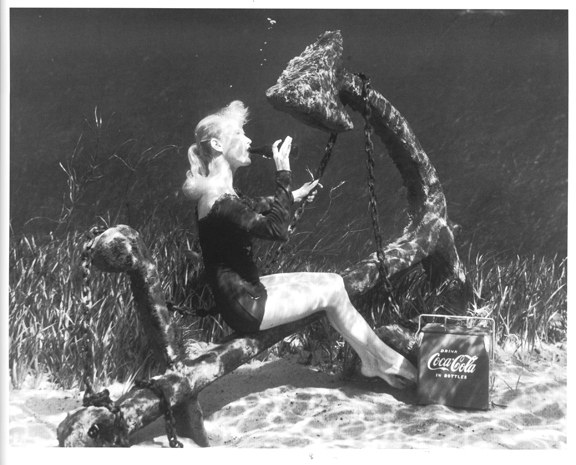 Bruce Mozert is an Ohio-born photographer that moseyed his way down to Silver Springs, Florida in the last 1930s on his way to a Miami photo shoot from NYC, and ended up pioneering underwater photography. 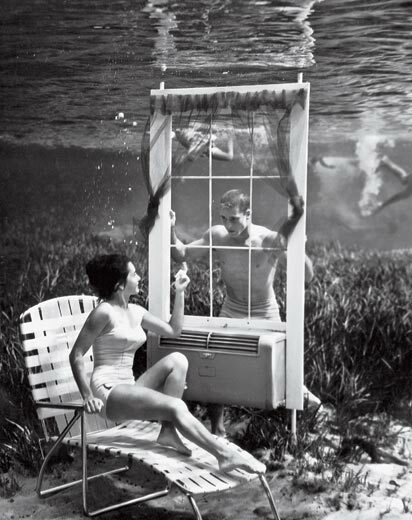 His pictures were quickly scooped up by Hollywood, and he ended up being featured in magazines throughout the world.